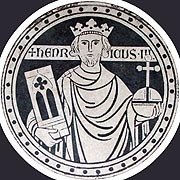 Henry was the son of King John. He inherited the throne in the middle of both an invasion from across the Channel and a Baronial rebellion, when he was only nine. Luckily, his regent, William Marshal, rallied the country to his cause and expelled the French. When of age, Henry became unpopular because he favoured foreigners and would not stand up to the Pope. Taxes to pay for failed military campaigns in Wales, France and Sicily turned the Barons completely against him. 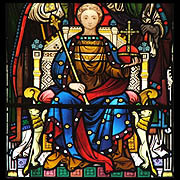 The King was forced to accept the interference of a Royal council under the terms of the ‘Provisions of Oxford’. Later, when he tried to reject them, a Civil War broke out and King Henry and his son were captured by the rebel leader, Simon De Montfort. 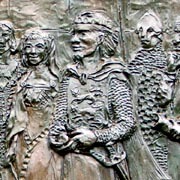 Simon set up a precursor of the later parliaments, calling on representatives from across England to help rule the country. Eventually the King’s heir, Prince Edward, escaped and defeated him in battle.